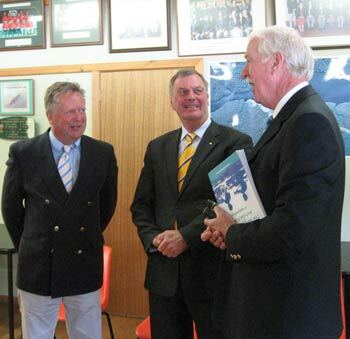 The Victorians won the Rowing Australia Cup for the most successful State but did not have it all it's own way. 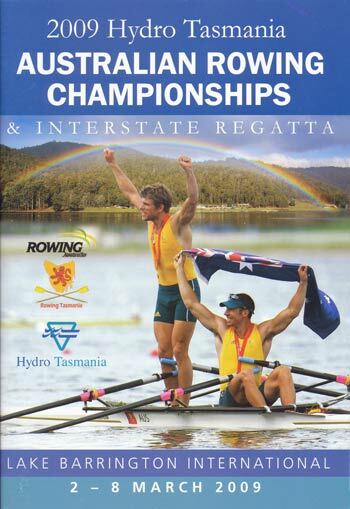 New South Wales won the King's Cup, Queensland won the women's single and women's youth eight, Tasmania kept the women's lightweight quad down south and the West kept the Tasmanians out of te men's lightweight four. The Interstate Championships were conducted in tail breeze conditions and in the King's Cup, NSW were never led. The Victorians dominated the Queens Cup race. Peter Wade (Chairman & media), James Gibson (Finance), Susan Stegman (Administration), Brian Brennan (Regatta Manager), Mick Goodger, George Homer & David Williams (Regatta Control), Greg Hall (Venue Management), David Rattray (Program), Rod Dobell & Chris Grummit (Timing), Ivan Dolby (Catering), Alan Kitto (Communications), David Pitt (IT), Gordon Stewart (Sponsorship), Tim Morris & Jo Morris (Volunteer Management). The Organising Committee was successful in mobilising a large number of volunteers from their clubs. John Murdoch (President), Nick Hunter ACT, John Hatwell NZL, Paul Logan SA, David Grubits VIC, Lynne Bayliss WA, Greg Smith NSW, Simon Walker NZL, Greg Melbourne SA, Kelly Jenkins VIC, Craig James WA, Tim Wainman NSW, Tony Levick QLD, Philip Fraser TAS, Rod Florence VIC, Rene Klupacs VIC, Bret Woolfitt WA, Victor Walter NSW, Barnaby Cundell SA, Brett Ralph SA and William Webster VIC.